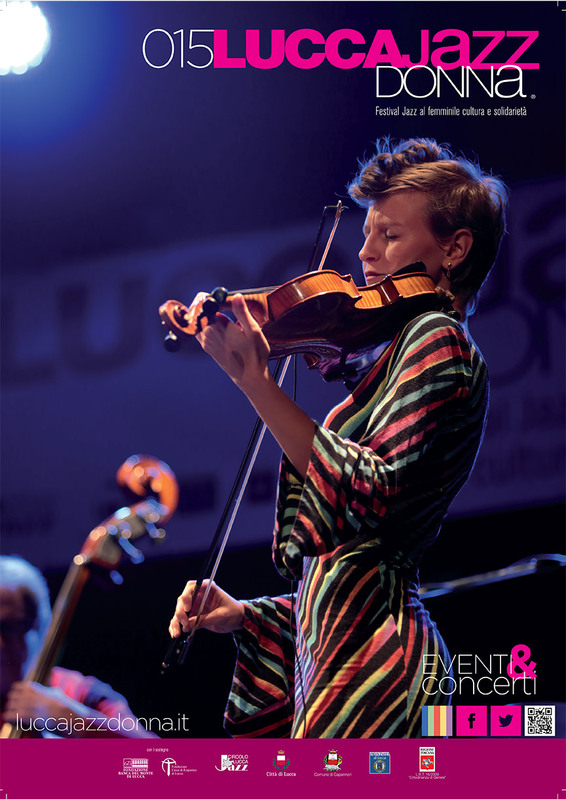 Five dates, nine concerts, including a special closing event, and five side events, from 10th September to 17th October, for the eleventh year of Lucca Jazz Donna. Thirty-two women in the festival (21 musicians and 11 guests) from Italy, Europe and the United States and five charitable organizations involved in the first completely free entry event. These are the statistics for Lucca Jazz Donna 2015, the festival dedicated to female jazz talents organized since 2005 by the Circolo Lucca Jazz with the City and Province of Lucca, support from Tuscany Region, Lucca’s CRL and BML Foundations and the collaboration of many individuals and associations. This year the city of Capannori is included which hosts a concert and panel discussion. Friday, October 9th at 9.15 pm at Teatro di San Girolamo there’s an evening with international guests. In the first set, there’s Jazz Women! Allison Adams Tucker vocals, Emmanuel Massarotti piano, Marco Panascia bass and Enzo Zirilli drums. In the second set the Francesca Tandoi European Quartet with Francesca Tandoi piano, Frits Landesbergen vibraphone, Frans van Geest bass and Giovanni Campanella on drums.